If you are a couple that owns a business together, things can get rather unpleasant if you end up separating without some form of written agreement in place. If you have found yourself in such a situation, you need the help of a mediator. By allowing a mediator to intervene, you are giving yourselves the opportunity to take care of things amicably through the facilitation of someone neutral. This course of action has many benefits, not least of which is the fact that by using a mediator, you may actually end up saving your business. This is why in most situations, mediation is highly encouraged before taking things to the next level by taking matters to court. When you hire a professional mediation service such as Free Family Mediation, the mediation process is formalized. This is different from informal mediation, where a friend or family member mediates. Professional mediation is better spelt out and the results are more tangible. In the case of a business ownership disagreement, the professional mediator will first get both sides of the story from each party, then sit them both down and try to encourage communication from both sides. This is important because it helps in the identification of the actual problem and to discuss the root causes of conflict. Once the problem has been identified, possible solutions will be discussed, with recommendations from both sides. The mediator tries to find a middle ground, and in the end, an agreement will be reached. The mediator will then draft a document with the terms of the agreement, which both parties will be required to review and sign, after which it is legally binding. 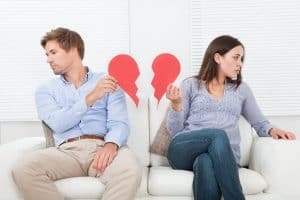 As a couple, if you happen to have gone into business together, in the event of a falling out, hiring the services of a professional mediator is by far the cheaper route to resolving your differences. Besides being cheap, you will also walk out of there amicably, with a much healthier relationship than if you had taken the matter to the courts instead. Mediation is perfect in solving business ownership disagreements between couples because it is less stressful, confidential, non-judgemental, and both parties have an opportunity to walk out of it all in a better relationship with each other, after having reached a mutual agreement on how matters should be handled. 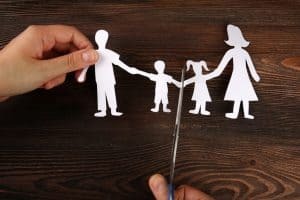 If you are a couple in the middle of a business ownership disagreement, consider hiring the services of a professional mediator like Free Family Mediation to help you resolve your issues.